I've posted about this term before, but want to call to your attention that there is a similar tragedy, and growing scandal, in India - where there is a different euphemism for them: 'encounter deaths'. In fact, some police in India are proud to be known as 'encounter specialists'! Similarly, these are usually poor and marginalized folks who are summarily executed and th en dressed up to make it look like they died in cross fighting. 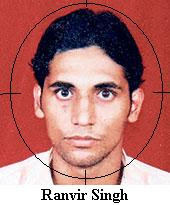 Ranvir is only one of many in India, though his story made more news because he was not as poor as most. His story is here. Should we collude with this activity by propagating the euphemism? Or should we just render this term as summary executions or extrajudicial killing? If you must say false positives because it's the term people know and use, I would suggest adding so-called, as in "so-called false positives".